Stepping Stones at Gomersal in Yorkshire opened its doors in 2005, and is situated within a residential area of Cleckheaton close to local schools. The nursery is perfectly located for local residents, parents and carers, and was awarded Outstanding by Ofsted in April 2017. 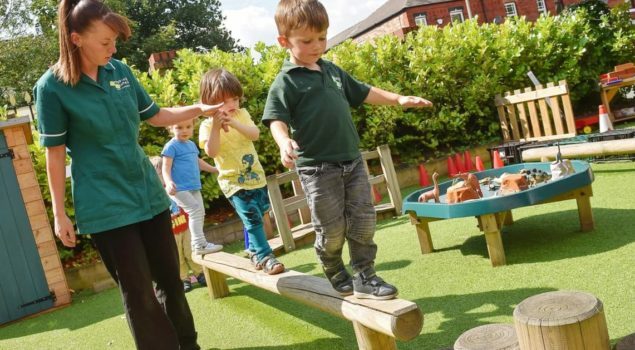 We cater for children from six weeks to five years in a warm, homely environment with all the resources to create inviting yet stimulating surroundings where our close and dedicated team can help your child progress and develop. There is a large outdoor area available to children at all times of the day, so they can free-flow between the indoor and outdoor areas. We also take the children on regular outings both in the local community and beyond. Our indoor area is divided into separate spaces for different age groups. 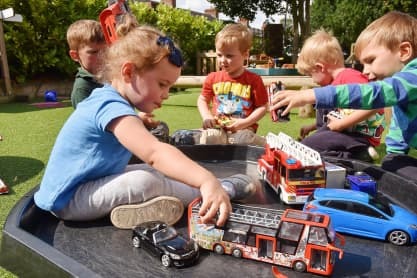 To get you and your child’s nursery journey off to the best possible start, we follow your child’s individual routine to make the transition into nursery as easy as possible. We use daily diaries to communicate between home and nursery, and keep you fully informed about your child’s day. We take great pride in guiding you through your child’s progression from day one and throughout their very first life experiences. To develop your child’s independence, we support the transition from babbling to early language, helping them build relationships and become a unique individual. Our toddler room is a bright, stimulating environment that encourages children to explore and develop through new, challenging experiences based on their own interests. This is where we prepare your child for the transition into school, which we aim to make as smooth as possible through the excellent school links we have established in the area. Here we provide extensive learning opportunities tailored to your child’s stage of development to encourage further independence and support their decision-making skills. A key focus in Preschool is developing your child’s social and emotional skills enabling them to flourish as they take their next step into school. We’re particularly fortunate to have a large area for outdoor play. 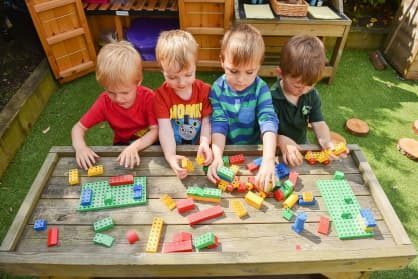 Each area supports learning and development based on Early Years Foundation Stage (EYFS) guidance. The outdoor area is easily accessible from all rooms and waterproof clothing is available to cope with all weathers. 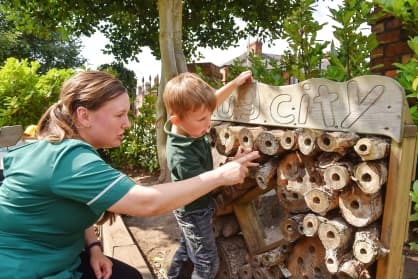 We’re also close to a local park which is used for den building and climbing as well as the nursery’s sports days and the annual Big Toddle event. Meal times are a significant part of your child’s day at nursery and we use them to teach the importance of food and where it comes from, highlighting the importance of a healthy lifestyle. Toddlers and Pre-school children self-serve with help from the team. Menus are carefully balanced, and we’re proud to have gained a Gold award from Kirklees Council for healthy choices as well as a top rating for hygiene. 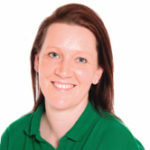 Safety is of utmost importance at Stepping Stones Gomersal. All parents, children and visitors access the building via one main door which is operated by the Nursery Manager. Only authorised persons can collect children and any changes to the usual procedure must be communicated in line with our policy. The care and education they give to my son is amazing. I really trust the staff and they are all friendly and professional. Excellent nursery! Fantastic staff that are always on hand to help. My child has settled brilliant and has a great key person.